In order to reduce waiting times that currently stretch to more than a year, Alpine has finally decided to increase A110’s production numbers. 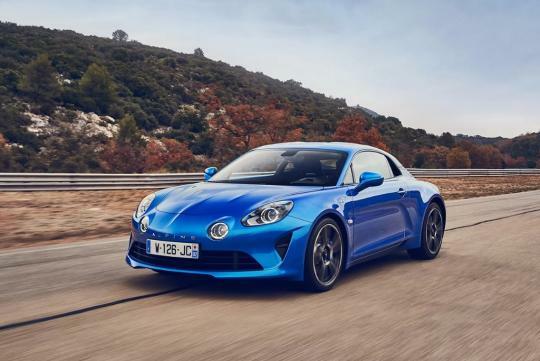 The lightweight 247bhp coupe has been a success so far, with the company having already received 5,000 reservations for the A110 after 1955 units of Premiere Editions sold out. These cars were sold out in less than five days. In an interview with Automotive News, Alpine’s Head of Sales and Marketing, Regis Fricotte, said that due to the high demand, waiting time has grown to 14 months. To solve this problem, the Dieppe factory will increase production to 20 cars a day, from the current 15. Interestingly, despite it being a commerical success, Renault has refrained from increasing production numbers further. 'Currently, our first priority is quality - and our second and third. Then we talk about quantity,' said Sebastien Erphelin, Alpine’s interim Managing Director. Alpine has since built 1,200 units since production of the A110 Premiere Edition started last year in December.